We started foraging for wild garlic a few years ago due to numerous requests from customers for it. 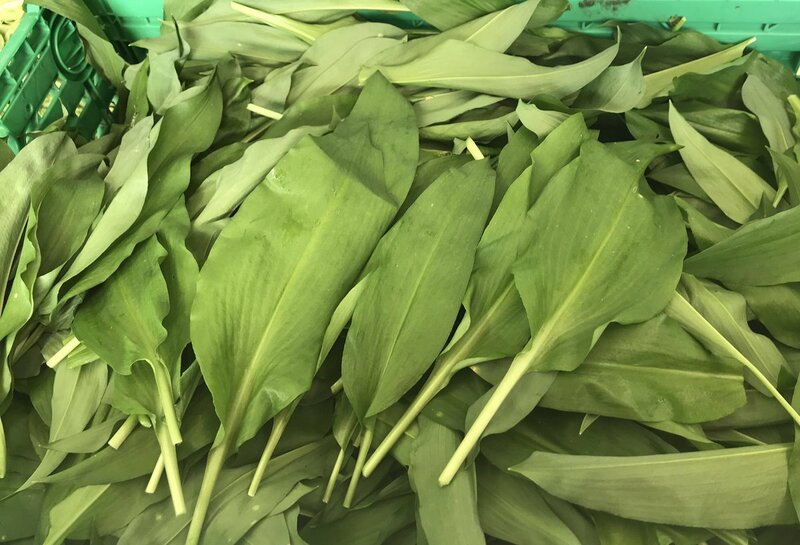 Due to wild garlic’s increasing popularity as a local wild food source and with ‘Foraging’ becoming the in thing for chefs, we are looking at doing more with this product. We are thinking about trying to establish our own source on site to make it more sustainable in the long term. Wild garlic is a useful ingredient in numerous soups and sauces whilst making interesting products such as pesto where it replaces basil for example. With imagination and flare, the use of wild garlic is endless. Its pungent smell and subtle flavour make it ideal for wilting to serve with meat and fish amongst many other dishes. The wild garlic season only lasts a few weeks and so this makes it a really special seasonal treat that people seem to go mad for! The flowers are also edible and add an interesting colour and flavour to any dish. Please do not hesitate to ask should you fancy trying wild garlic flowers and we will forage around for them!